*HOT! * Kohl’s Cardholders – KitchenAid KSM150PS Artisan 5-qt. Stand Mixer just $178.49 after Codes + FREE Shipping! KitchenAid KSM75 Classic Plus 4.5-qt. Stand Mixer just $166.59 after Codes + FREE Shipping! Kohl’s cardholders can snag a great deal on the KitchenAid KSM150PS Artisan 5-qt. Stand Mixer at $299.99 – 30% with code JOY30 and $15% with code HOME15 at checkout. Shipping is FREE! The KitchenAid KSM75 Classic Plus 4.5-qt. Stand Mixer is just $166.59 after codes JOY30 and HOME15 with FREE shipping! Kohl’s is offering 30% off site-wide with code CRISP30 and FREE shipping with code FALL4MVC at checkout for Cardholders! TODAY ONLY, you can ALSO apply ONEDAY10 for $10 off your $50+ purchase! AND, you can score an additional $10 off your $50+ select men’s apparel purchase with code MENSTYLE10 !! You’ll also receive $10 in Kohl’s Cash for every $50 spent (AFTER promo codes)! Apply promo codes CRISP30, FALL4MVC, ONEDAY10 and MENSTYLE10 and the price drops to just $33.57 for ALL 4 SHIRTS! Just $8.39 each! Apply promo codes CRISP30, FALL4MVC, ONEDAY10 and MENSTYLE10 and the price drops to just $41.97 for ALL 4 pants! Just $10.49 each! And if you’re still holding out for a super deal on an Instant Pot, you can pick one up now! Apply promo codes CRISP30, FALL4MVC, ONEDAY10 and your price drops to just $62.99 + FREE shipping AND you’ll earn $10 in Kohl’s Cash! FINAL PRICE after codes + Kohl’s Cash = just $52.99! *SUPER HOT! 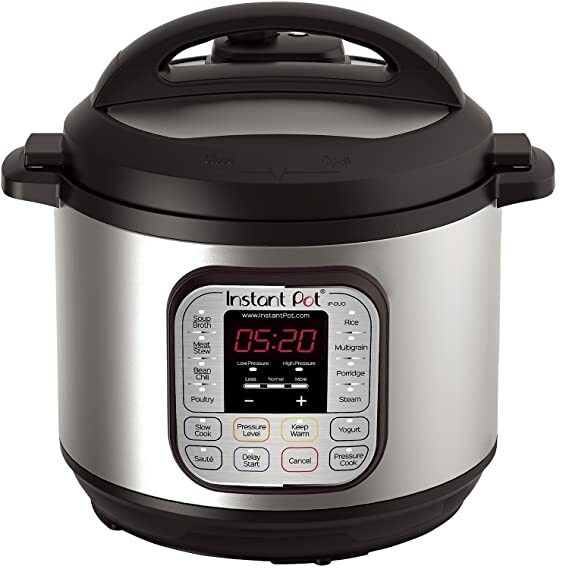 * Amazon/Kohl’s – Instant Pot DUO80 8 Qt 7-in-1 Multi- Use Programmable Pressure Cooker just $89.95 (reg $139.95) + FREE Shipping! This is a PRICE-MATCH to Target’s sale! Snag the Instant Pot DUO80 8 Qt 7-in-1 Multi- Use Programmable Pressure Cooker on Amazon for just $89.95 (reg $139.95) + FREE shipping! Amazing price for this LARGE size! OR if you prefer, you can snag this from Kohl’s for just $89.99 + FREE Shipping! And you’ll earn $10 in Kohl’s Cash! Final Price: Just $35 + FREE shipping! Just $11.67 per pair! *HOT! * Kohl’s Cardholders – The Big One Beach Towels just $6.99 (reg $19.99) + FREE Shipping! A few people have asked me for beach towel recommendations and these Kohl’s Big One Beach Towels are really large, soft, and perfect for all your beach and pool needs! I own several of them myself! Just make sure to empty your dryer’s lint filter after you dry them, they produce a lot of lint! Kohl’s cardholders can snag The Big One Beach Towels on sale for $9.99 – 30% with promo code BBQ30 = just $6.99 (reg $19.99) + FREE Shipping with promo code KCSHIP at checkout! *HOT! * Kohl’s Cardholders – 30% Off Site-Wide + FREE Shipping! Men’s Dress Shirts just $6.99 or $5.82 when you buy 6!! Kohl’s Cardholders can save 30% off site-wide with code BBQ30 and get FREE shipping with code KCSHIP at checkout! You will also earn $10 in Kohl’s Cash for every $50 spent! Save $10 Off your Father’s Day gift purchase of $50 or more. Select Styles. With promo code TREATDAD10 at checkout ! The Men’s Croft & Barrow® Regular-Fit Easy-Care Spread-Collar Dress Shirt is on sale for just $9.99! Use promo codes BBQ30 and KCSHIP to drop the price to just $6.99 + FREE shipping! Buy 6 @ $9.99 = $59.94 – $24.99 with codes BBQ30, TREATDAD10 and KCSHIP = just $34.95, or just $5.82 per shirt!